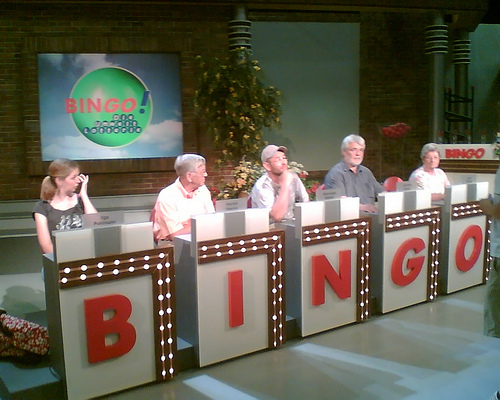 Will an end to the draconian bingo tax, cause a resurgence of the national pastime? You are here: Home / General / Will an end to the draconian bingo tax, cause a resurgence of the national pastime? For those of you that are bingo hall regulars up and down Britain, you may be already well versed on this subject. However, for those of you that aren’t very familiar with the game in Britain, since 2009 retail bingo in the UK has been taxed 20% on all profits made from the business. This is of course is an additional 20% over any taxes that all UK businesses have to pay. Moreover, the tax is considered to be unjust by some, particularly because all other gambling sectors online and retail are only taxed at 15%. This includes online bingo, which in many cases can completely avoid the British bingo duty, simply by basing their operations in one of the many gambling tax havens such as Gibraltar, Malta etc. In a recent interview undertaken by the founder of Which Bingo UK, the chief executive of the Bingo Association asserted that the tax was “punitive”, and that he would be “fighting hard” to get it lowered to its former level of 15%. Particularly if the UK government approves the point of consumption tax at 15% – for online gambling operators. This latest proposed tax measure is part of a wider fight by the UK government to put an end to tax dogging in all its forms – something which has been popular amongst many G20 countries of late. Miles Baron states that one of the main causes for the decline, is the harsh tax that only seems to punish bingo. It has pushed a lot of retail bingo halls to close over the last decade. A few months ago Gala Bingo (one of the two big operators in Britain that between them own over 65% of the British retail bingo market), said they were planning to sell off all their bingo halls, as they were unable to reinvest in them, and subsequently, were no longer a profitable part of the business. Despite the fact that the tax is larger than the norm, it might not necessarily be fair to blame the decline in British bingo to be solely on the duty increase. The decline of bingo, falling player numbers, and defunct bingo halls is a phenomenon that has been going on longer than 2009. Although it is probably true to say that the recession, and tax rise does hold its share of the blame for decreasing numbers of players, and consequently creating ever smaller market share for bingo halls; there are other factors that have contributed strongly to the downturn. Two of these are the smoking ban, and online bingo. When the smoking ban was introduced in 2007, it had a very negative effect on player numbers in Britain. Many bingo players were also smokers some reports suggest that up to 60% smoked. The fact that they were no longer able to smoke inside, made it unattractive for them to go to bingo halls. In addition, many players who smoked took to playing bingo online. In doing so, they discovered the freedom and comfort of playing bingo from home – and the liberty to smoke freely. Albeit, Miles Baron took a more dismissive approach to these two factors, saying that the rise of online is something that any sector, has had to deal with. Furthermore, from his perspective, although the smoking ban had had some effect in player numbers; he believes that this could easily be offset by improvements done to bingo halls to attract a wider audience. This comes back to the original argument that a lower tax will mean more money can be reinvested into bingo halls. Some improvements and innovation have already taken place. One of these is The National Game, which is a game linking all the bingo clubs in the country together for a huge jackpot (this is set to get bigger). Some establishments have taken to having a ladies night which sees the introduction of male strippers into bingo halls. Presumably it has been thought to appeal to the bingo demographic which is over 80% female, and now trying to appeal to a younger female audience. For many people in Britain, bingo is more than just gambling. In some smaller communities it was traditionally the heart and soul of a town where family, friends, and neighbours can meet up to enjoy a light hearted game. Others will have childhood memories of playing the game on campsites, seaside towns whilst on holiday and much more. For many people it is important that bingo remains an institution in this country, and this is reflected by the number of petitions and campaigns currently on going, to try and reduce the bingo tax. Whatever the outcome, it will be interesting to see what effect it has on the game. What’s your opinion on the tax? Do you feel it is fair that bingo is taxed disproportionately compared with other forms of gambling? Do you believe that all gambling should have a higher tax like bingo? Leave a comment below.